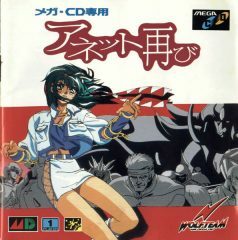 Annet Futatabi – usually translated as “Annet Again,” but a better translation would be “Annet Returns” – is the third and final entry in the series, only for the Mega CD in Japan. 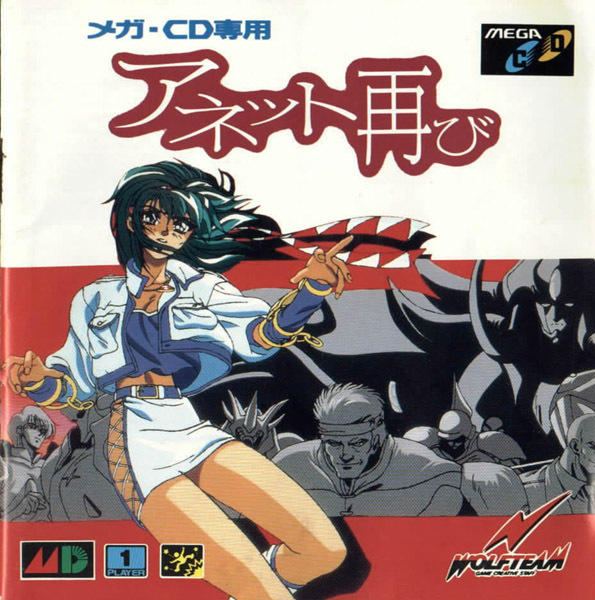 It’s here that all three titles are officially brought together as part of the “Earnest Evans Series.” Unlike its predecessors, Annet Futatabi is a side scrolling beat-em-up that closely resembles Sega’s Golden Axe. 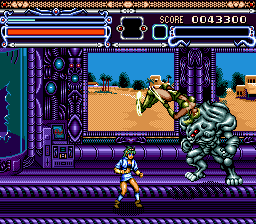 Practically everything about the controls is lifted straight from the arcade classic, right down to the stilted combos and obnoxious enemies that can counter attack at a moment’s notice. 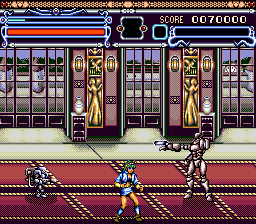 The magic system is sort of similar too – by pressing the A button, you’ll summon some kind of skill that uses vaguely impressive Mode 7-style graphics to stretch and squash all of the enemies on the screen, damaging them to some extent. The difference here is that magic is regulated with a power meter, which regenerates automatically. The more power bars you fill, the stronger your magical attack. 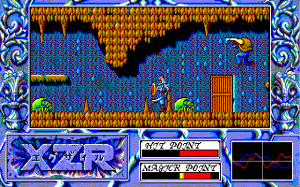 Anett also wields a sword, but there aren’t any other weapons or power-ups, other than health items which are obtained by smashing bits of the scenery. The big problem is that the game is also balanced like the later levels of Golden Axe – which was meant for quarter sucking – but it’s structured like a console game. Annet can only take a few hits before dying, and since you don’t have any extra lives, you’re sent back at the beginning of the stage. Granted, the stages are all very short, and very dull, usually consisting of a handful of screens, a handful of enemies, and a frustrating boss encounter to top it off. Most of the end level monstrosities have pretty braindead attack patterns, but they’re so strong that it’s hard to attack them efficiently. You can’t even use your magic on them at all, ruining a tactic that worked pretty well back in Golden Axe. The extreme level of challenge is clearly to mask the fact that there just isn’t much game here. The in-game graphics are pretty average. 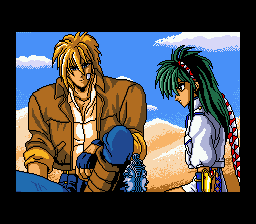 Although Annet looks much cooler here than she did in El Viento, the rest of the visuals are run of the mill and forgettable. 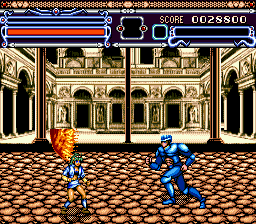 The music, at least the first stage, is pretty good. The rest is just kinda alright. Overall, it’s pretty obvious that all of the budget was put into the cutscenes. But damn, the cutscenes look nice. 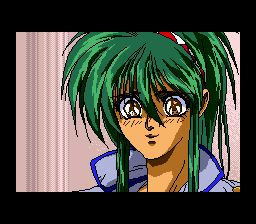 The ones in the Mega CD Earnest Evans were rather unimpressive, but the cutscenes in Annet Futatabi are longer, more detailed, better animated, and just all around higher quality. 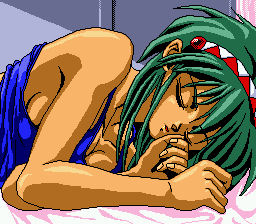 Anyone with a fetish for the 16-bit, low color, ’90s style anime artwork that proliferated on the Mega CD and PC Engine will love this. There’s even an original vocal song for the intro, although for some reason it’s played via staticy PCM audio, instead of high quality redbook. The plot details the further adventures of Annet and Earnest, as they get caught up in some kind of scheme involving an evil kingdom and their genetic experiments, allowing them to morph into other forms. It’s barely B-Movie quality, but it’s quaintly reminiscent of the NES Ninja Gaiden games – practically the inventor of story-driven console action games – and for that, it’s pretty cool. Too bad the actual game surrounding it isn’t better – the game’s so frustrating most players probably won’t take it beyond the first stage.